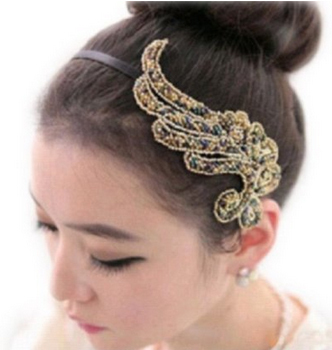 Phoenix Wing Headband Only $2.99 + FREE Shipping! You are here: Home / Great Deals / Amazon Deals / Phoenix Wing Headband Only $2.99 + FREE Shipping! Looking for a new headband? Check out this fabulous one I found – get this Phoenix Wing Headband for just $2.99 S+ FREE shipping! How pretty is this one?? I’ve been trying to wear headbands more, and I am LOVING this one! Plus, it’s under $2 -definitely my price point!